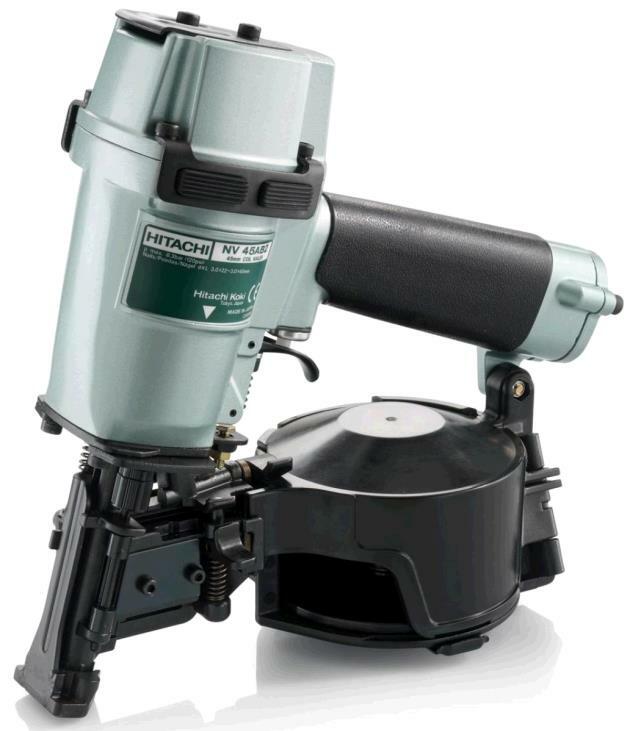 NAILER ROOFING COIL HITACHI Rentals Ft. Collins CO, Where to Rent NAILER ROOFING COIL HITACHI in Ft. Collins, Wellington, Greeley, LaPorte, Loveland, Windsor CO and all of Northern Colorado. Coil nail gun for roof shingles and insulation boards. Shoots 7/8"to 1 3/4"coil nails,Air Pressure, 5 - 8 cfm required at 80 to 120 psi. If the nails set too deep, reduce the air pressure at the compressor. * Please call us for any questions on our nailer roofing coil hitachi rentals in Fort Collins, Wellington, Greeley, LaPorte, Loveland, Windsor CO and all of Northern Colorado.